With just about two months left until it hits theaters and shows off the titanic battle between The Dark Knight of Gotham City and Man of Steel from Metropolis, Warner Bros. and DC Entertainment have unleashed a brand new poster for “Batman v Superman: Dawn of Justice“, which is a combination of the previously released IMAX posters depicting the faces of Batman and Superman with their respective logos opposing the other – only this time we get both in one sheet and portrayed like a “VS” screen that advertises their inevitable battle. Of course this cover depicting the future nemesis of Superman shows that the young billionaire genius is both confident and cocky… And he’ll be playing a crucial part in pitting Bats against Supes… And then some as the last trailer showcased. 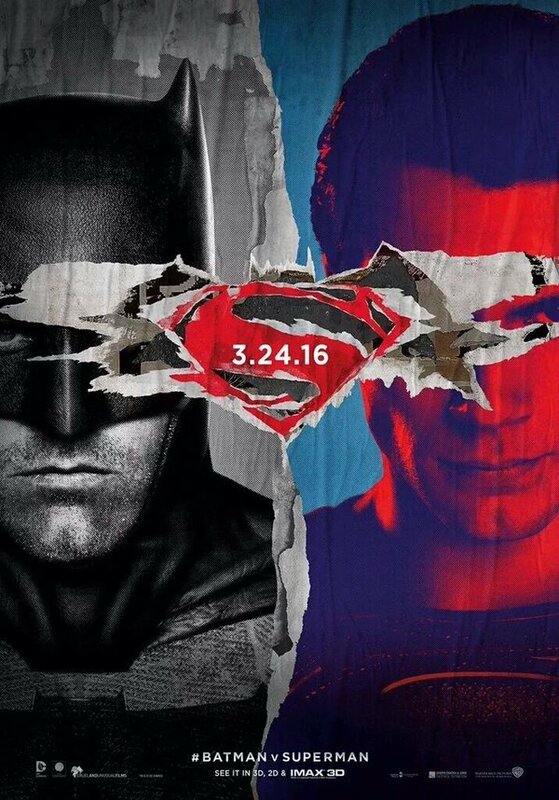 Batman v Superman: Dawn of Justice hits theaters on March 24, 2016. Previous articleWATCH: Game of Thrones Game features an Awesome Side Story you’ll want to see!